Home Google Chromecast Review REVIEW: Google Chromecast experiance. This review is especially important for people having an ordinary LED HD TV. If you had an ambition of owning a Smart TV but don't want to shell out lot of money from your pocket this device may be just right for you. Google's Chromecast is a HDMI based small dongle like device which connects with your Home WIFI network and communicates with your Smartphone. Now you can actually start using your smartphone as a virtual remote to redirect content on your ordinary HDTV thus making it smart instantly. The biggest advantage of this small device is not only its very powerful at what it does but its very cheap its available in the US for $35 and in many countries around the similar price. Some of the things you want to have before ordering this cool device are a HD TV with working HDMI port and a home WIFI network (stronger the better). It takes less than a minute to setup and start using it. 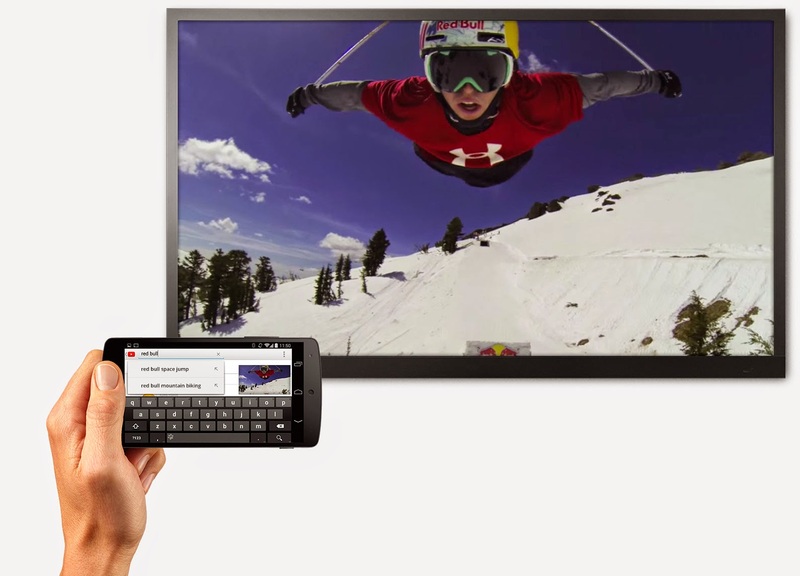 Google recently introduced the Screen Cast feature which allows you to replicate what's on your smartphone screen on to your HDTV. This feature is available in selected devices please check site for details. 2. Converts ordinary TV in to Smart TV. 3. Supported on iOS and Android. 4. Can cast your smartphone screen on your TV. 5. You can play music, videos and pictures from your phone on the bug screen instantly. 6. 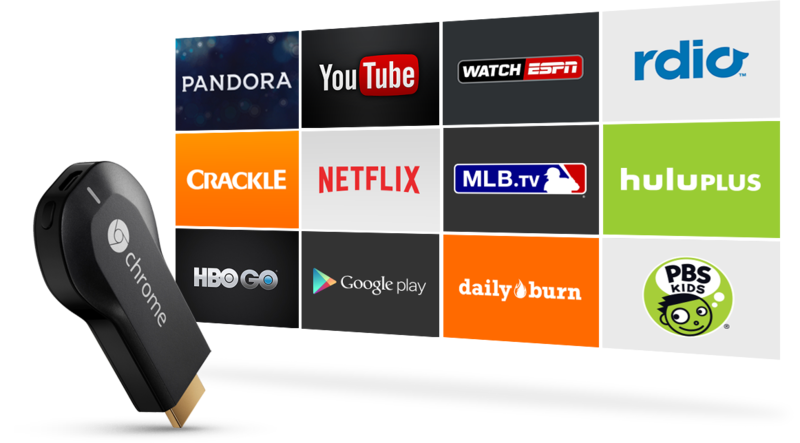 Many apps like Netflix, Zulu, YouTube, Pandora and more are supported. 1. Not all devices are supported. 2. A decent WIFI speed (2 MBPS and above recommended) is required. 3. The Cast Screen feature is beta and litter buggy. 4. Your smartphone and TV shall be in a good WIFI range to get best performance. Overall this inexpensive device is a great value addition to your arsenal of gadgets and you should have one today.